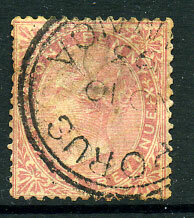 on QV 1d Postal Fiscal SIDEWAYS CA wmk (SG.F3), thinned, rare on this issue. on QV 1d Postal Fiscal SIDEWAYS CA wmk (SG.F3). 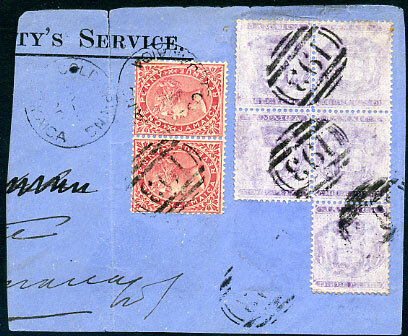 on QV 1d Postal Fiscal SIDEWAYS CA wmk (SG.F3), very rare on this. 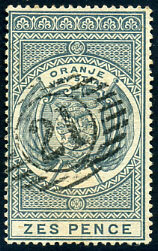 (Type O) on QV 1d Postal Fiscal SIDEWAYS CA wmk (SG.F3). (11 bar) on 6d pearl-grey Postal Fiscal (SG.F1). 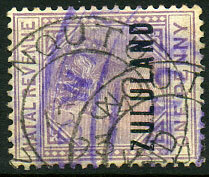 on QV 1d Postal Fiscal SIDEWAYS Crown CA wmk (SG.F3), small surface rub and perf. fault, very rare on this. on QV 1d Postal Fiscal SIDEWAYS CA wmk (SG.F3), thinned. 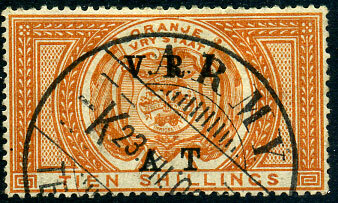 on QV 1d Postal Fiscal SIDEWAYS wmk (SG.F3), some thinning and small crease. 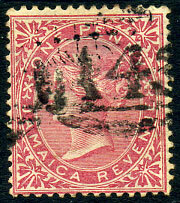 on QV 1d Postal Fiscal sideways CA wmk (SG.F3), rare on this. 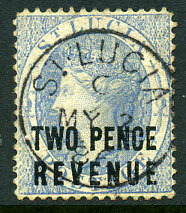 on QV 1d Postal Fiscal CA wmk (SG.F3), very rare and Topaz unrecorded on this issue. (Z.2) 1 DEC 91 on Natal ovp'd QV 1d (SG.F1). (Z.9) MR 8 -- (weak or without year) on Natal ovp'd QV 1d (SG.F1). on QV 1d Postal Fiscal CA wmk (SG.F3), very scarce on this issue. (D/R) NO 10 93 on QV 1d Postal Fiscal CC wmk (SG.F2), soiled, water stains. Cat.£55.00.